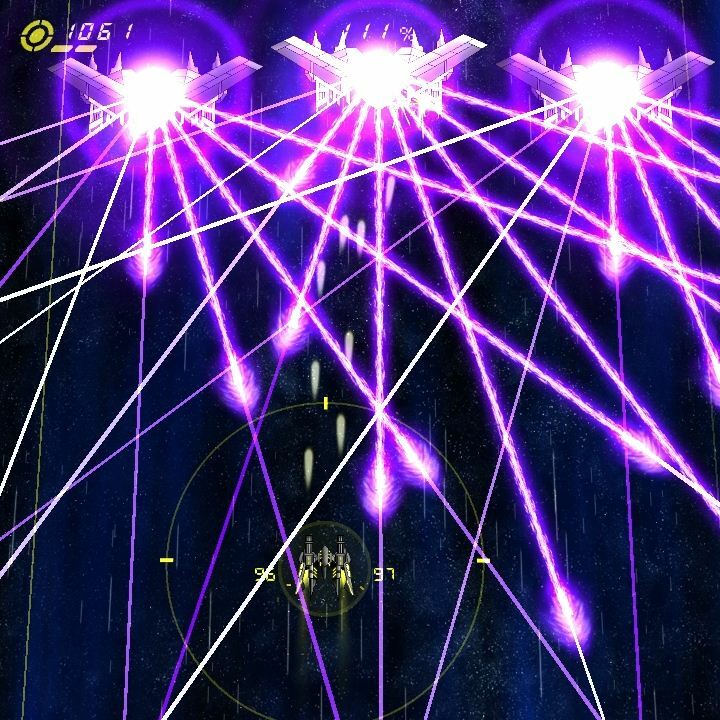 This time the spotlight will be shining on Valkyrius, a fast and furious SHMUP with a rather unique challenge: your ammunition is finite! Let’s see if we can’t help it escape the cold emptiness of Greenlight limbo. Valkyrius combines the intense classic arcade action you’d expect from a 2D shoot-’em-up with an innovative warping mechanic that lets you effortlessly weave in and out of enemy fire. Fight across 6 unique stages with unique enemies and huge bosses. Take the weapons of your destroyed enemies and add custom powers to your fighter. Follow the story of Colonel Valterra as her battle to reclaim the Earth for the Space Colonies turns into a war for the future of humanity. Classic arcade action, eh? Well I do like me some 1942, R-Type, Galaga and let’s not forget about the Raiden series. This one does seem much closer to Ikaruga and Jamestown though, with an emphasis on enemies literally spraying bullets everywhere, putting players’ reflexes to the test – nowhere near as crazy as those two, however (unless you crank it up to the highest difficulty). Oh and like I said before, your ammunition supply is limited, so no holding down that fire button! I realize that other genre entries have trained us to just go nuts, returning fire at every opportunity, but that’s not gonna work here. In case you do actually run out of bullets/missiles/whatever, chances are another weapon’ll be floating towards you 5-10 seconds later – provided you’ve managed to blow something up prior, that is. Ready… aim… FIRE! So riddle me this, dear reader: why is Valkyrius still struggling to get through Greenlight? It’s been out for a while (since August 2012), so lack of availability is certainly not the reason. If you haven’t done so already, might I recommend visiting its Greenlight page and handing over a ‘yes’, if you like what you see? Remember: your vote matters! Valkyrius is available for Windows from the official website, Desura and Green Man Gaming, priced at $8 / £5 / €6 and without any DRM.